Around 2,500 B.C., the people of the Yucatan peninsula abandoned their nomadic lifestyle to cultivate corn, and later other crops. The shift to farming enabled the rise of the pyramid-building Maya, whose sophisticated Mesoamerican cities sustained 19 million people before the civilization collapsed in the 800s. According to some theories, the Maya's use of slash-and-burn agriculture, which involves clearing and charring fields, contributed to deforestation-induced droughts that may have spurred their demise. No crop was more important to the ancient Maya's diet than corn, or maize. So crucial was corn to their subsistence that the Maya revered a Maize God and thought of their ancestors as being made of corn dough. The Maya turned corn into dough by boiling it with lime, which softened the kernels and released their nutrients. 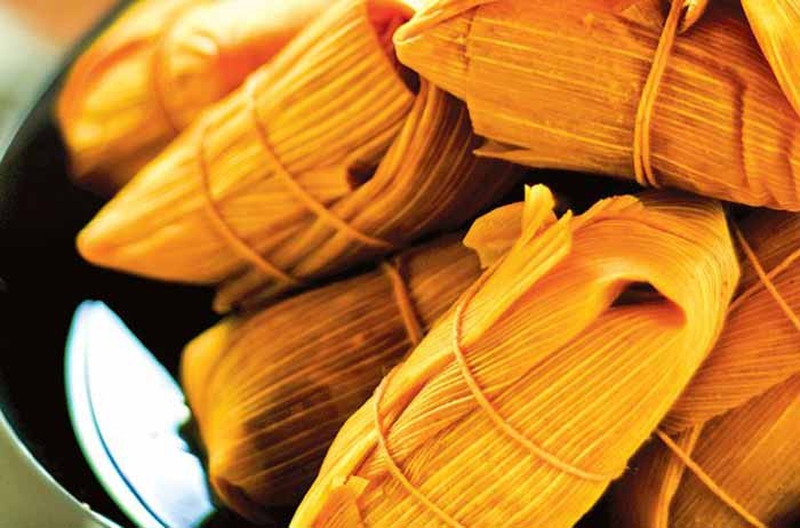 The dough was made into stews or wrapped in corn husks and steamed as tamales. The Maya also consumed corn as atole -- gruel served warm or cold and flavored with chili peppers, honey and ground squash seeds. Members of the upper class enhanced atole with another iconic food of the Mayan world -- cacao. It has long puzzled scholars of Mayan civilization how large cities like Tikal and Copán were sustained, knowing that corn alone would have been insufficient. The answer may have been found in a volcanically preserved farm in El Salvador and the remains of a village in Belize, which have provided evidence that, as archeologists have long theorized, the Maya cultivated one or more types of starchy, carbohydrate-rich tubers to sustain their large urban populations. Both sites have yielded indications of two root crops: manioc, also known as cassava, and malanga. After corn and cacao, squash was the most important crop in the world of the ancient Maya. It was especially prominent in the Yucatan peninsula, where the Maya valued the vegetable's seeds more than its flesh. The Maya also grew the chili peppers they added to their chocolate drinks, atole and other dishes. No less important were beans, which were usually planted alongside corn, and therefore helped maintain the soil's nitrogen levels. In addition to the cacao tree, the Maya also cultivated numerous other fruit trees in forest settings, including avocado and custard apple. The belief that their ancestors reincarnated as trees prompted some Maya to grow fruit trees around their homes. The Maya cultivated and prized the cacao tree, the seeds of which became a form of currency. Today, cacao seeds are used to make chocolate. The Maya, however, dried, roasted and pulverized the seeds, then mixed the resulting powder with chili peppers, corn gruel, honey and water to create an indulgent beverage. The concoction was poured repeatedly between spouted vessels several feet apart to create a luscious head of foam. The importance of cacao is reflected in Mayan mythology, in which the crop was given its own deity. Server responsed at: 04/20/2019 7:19 p.m.